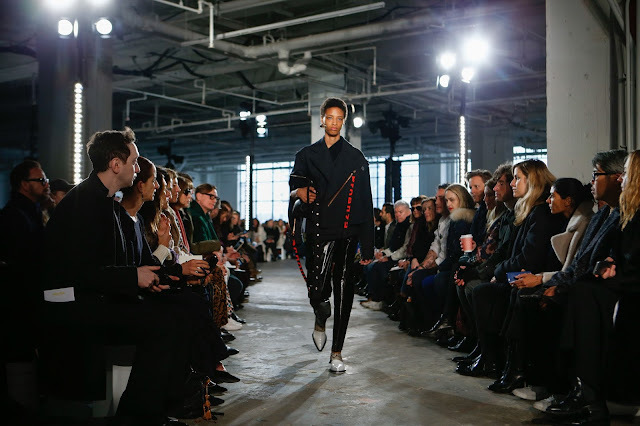 The success of the PS1 handbag catapulted Jack McCollough and Lazaro Hernandez’s Proenza Schouler to the world’s stage. They’re fifteen years in business and along the way not only did they garner attention from the public en masse from their auspicious accessories attempts, but they’ve been nurtured by the fashion industry. They were the recipients of the inaugural CFDA/Vogue Fashion Fund and won the CFDA Womenswear Designer of the Year award twice. The American fashion brand’s triumphant prosperity enriches the New York fashion scene with their cerebral, often witty, interpretation of women. Developing a design handwriting is difficult in times of overcrowding in an industry where there is stuff right, left and centre. 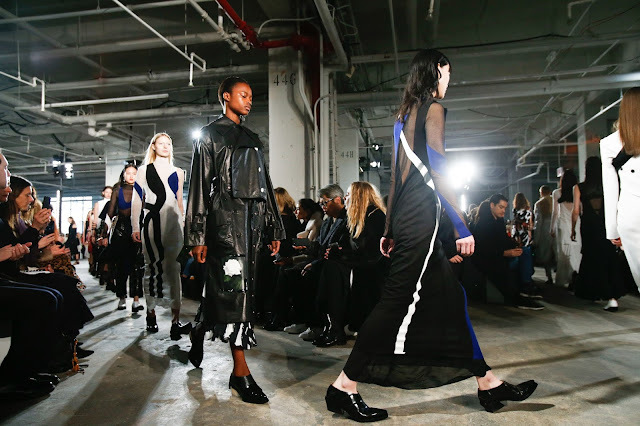 However, their creativity kept them afloat and some shapes are instantly recognisable as Proenza Schouler blueprints. Take for example the white leather coat that emerged at their fall 2017 show yesterday, with its ostentatious beige fur-trim—the large pockets, the excessive width of the collar. Another: a black leather coat resembling a butcher’s cloak—decidedly dark; pervaded with perversity. In recent seasons, the arrival of a new shape, a body-con, one-shouldered dress. 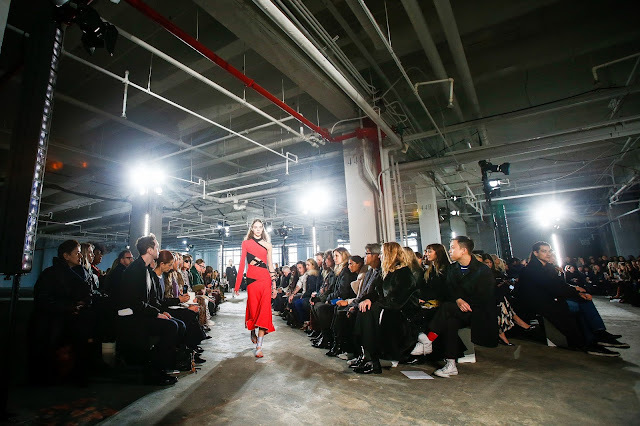 Flesh-bearing, calf-grazing, the red dress that appeared on this runway confirmed the silhouette as a permanent resident in the Proenza Schouler arsenal. Despite their innovations, parts of the collection felt a little derivative of Nicolas Ghesquière’s asymmetric shapes at Vuitton these past few seasons. It was unfortunate seeing as the duo—to me—represent what it is to be creative: they operate with principle of creating something they haven’t before and imbue this into every show. The richness of their winter collection a few years ago, where they developed the fabrics from scratch, was missing. Similarly, the subverted sexuality of last spring oozing sensuality was lacking. In its place was a more blatant, fetishistic vision of sexuality. 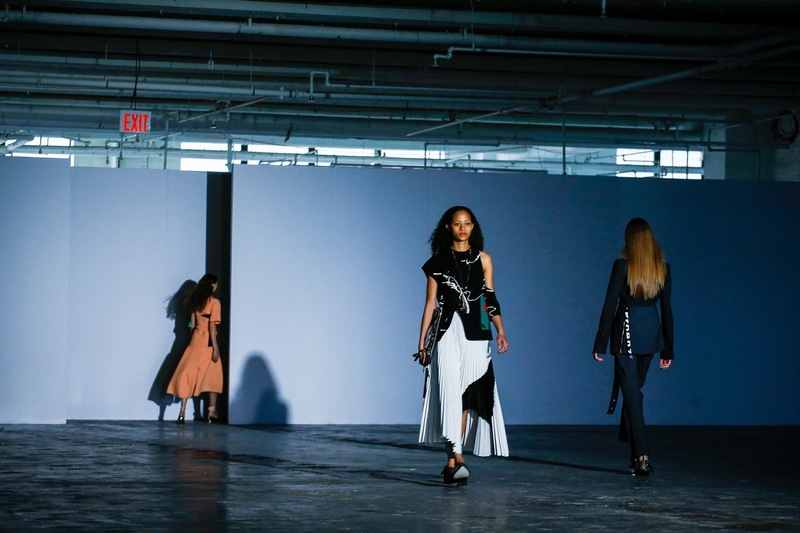 Cara Taylor’s vinyl wrap-dress, the pale-pink leather dress—they weren’t just a tongue-in-cheek ode to American fashion: they were darkly perverse but in the brand’s signature coquettish yet menacing manner. The thigh-exposing tunics, Natalie Westling’s full-leather biker outfit, and sheer panelling indicated that although there were elegant, traditionally feminine pieces to be found, the designers still haven’t lost touch with their singular, unorthodox methodology that is, above all, what carries them to the finish line. This marks the last time McCollough and Hernandez will present in New York before they decamp to Paris, where they will show their Spring 2018 collection during haute couture week. They will consolidate their mainline collection with the pre-collection offering; the seasonal shift signifies the necessity for a lengthier retail presence. It’s sad to see them go. It fuels the fire that New York isn’t relevant anymore. 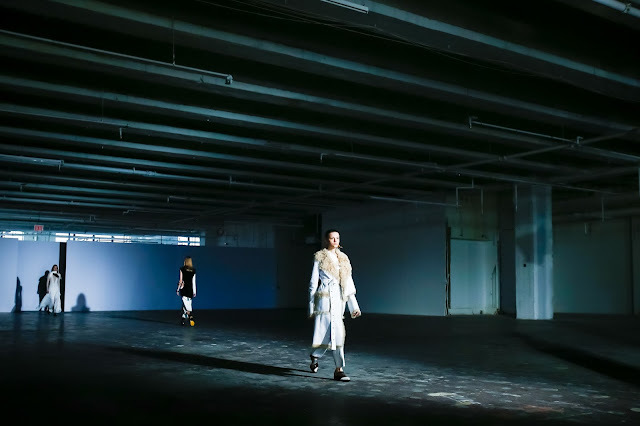 New York Fashion Week just lost the often virtuosic, provocateurs that defined a moment in the country’s recent fashion history.